On this blog, you will get an update about Localization toolkit (formerly known as CSL, Customer Specific Localization toolkit) as a service for our SAP ByD customers and partners when international projects for non-localized countries are demanded. In case you are a partner and could not attend our webinar session on March, 12th 2018, the recorded session can be downloaded at Partner Edge . If you are a customer and want to get access to the presentation, go into the SAP JAM Localization group. First, let me refresh basic information for all new partners and those, who have joined the SAP ByD community in the past months. The Localization Toolkit is a set of tools, built mainly into SAP Business ByDesign and the SAP Cloud Applications studio. It enables the extension or adaption of ByDesign’s standard capability, for instance about general ledger, taxes, tax reporting, HCM or expense reimbursement management. 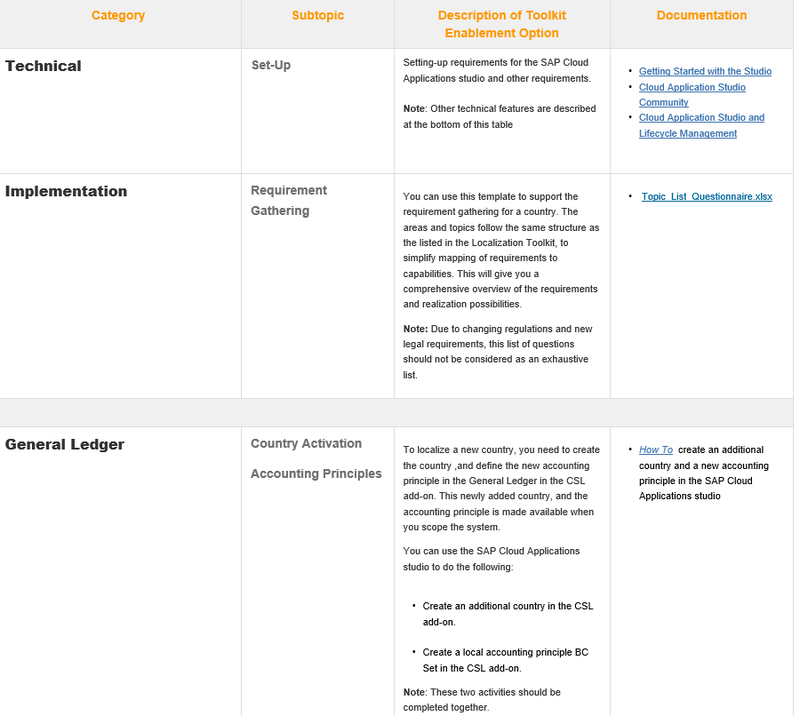 We offer documentation per topic (so-called “How to Guides” which describes the steps to implement certain requirements either by taking advantage of the SAP ByDesign business configuration or its extensibility capabilities (like extension fields), forms and reports many of them applied using the SAP Cloud Application Studio. In the end, the Localization toolkit allows the consultant to produce – depending on its nature – software artefacts, such as additional configuration content, application exit implementation code, extension fields, additional forms and reports, etc to fulfill those regulations concerning the business processes customers’ subsidiaries use. The Localization toolkit was designed to support the subsidiary and internationalization strategy from our customers. Thus, it is mainly applied, if required, to extend and configure the system for 2 categories, pre-localized -countries which can be scoped and in which SAP offers partial localization features- and tax basic countries– a country with minimum enablement by SAP- as required by customer requirements to satisfy local legal and tax reporting regulation. The result is that enabling a country for a customer or subsidiary is typically easier than implementing a country localization. Get to know details about Localization Toolkit available in SAP Business ByDesign wiki. What’s new and what will come during the next quarters. During the past months, we interviewed several partner developers and consultants actively using instructions available in the wiki that support their customer localization requirements. I would like to articulate a special thank you to In Cloud Solution(UK), Netizen (TH), erplogic (US) and Seidor (SP). Your feedback has helped us to clean the dust, apply new ideas and push the team to strengthen our offering. As disclosed in the Localization Roadmap and Outlook 2018, the Localization toolkit is an area of investment on which partner and customer dialog is key to strengthen it. New topics and guides incorporated in the areas of: requirement gathering template, working day calendar, Intrastat, accounting for revenue, languages, and more. 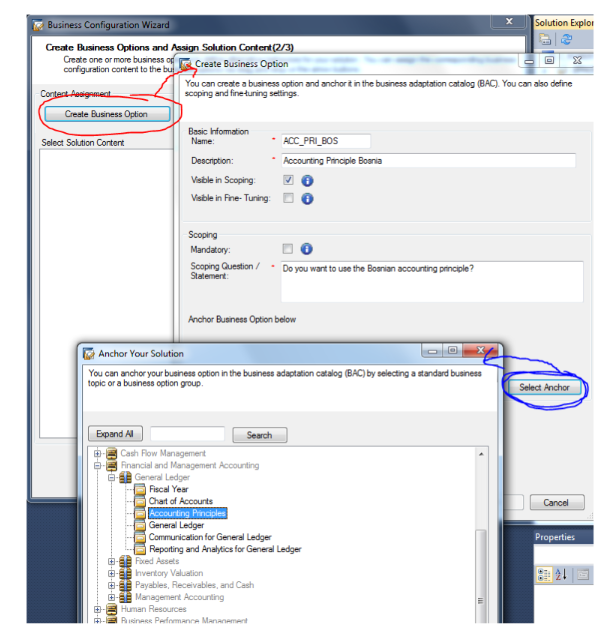 We will continue the online enablement approach via partner webinars including demo of “How to Guides”. (Next sessions expected about: How to generate Forms, Tax or Language Adaptation tool). The number of international and subsidiary projects have increased during the past months. About 30 % of our SAP ByD installed base is productive in at least 4 countries and customers run businesses in about 135 countries. In addition, we have welcomed new partners and market units investing in SAP ByD during 2017 and 2018, which resulting in a growing ecosystem. What should you consider before setting up a new country? The following advice result from my observation, situations and conversations related to the usage of SAP ByD in a non-localized country but also underneath the importance to leverage the full capabilities of our product and as common sense approach, don’t cross some technical border lines. In the end, “it is easy to discover what another has discovered before” (Christopher Columbus, 1506). The value of our ecosystem is measured by the hundreds of international projects and add-ons delivered in the past years. Take advantage of it!